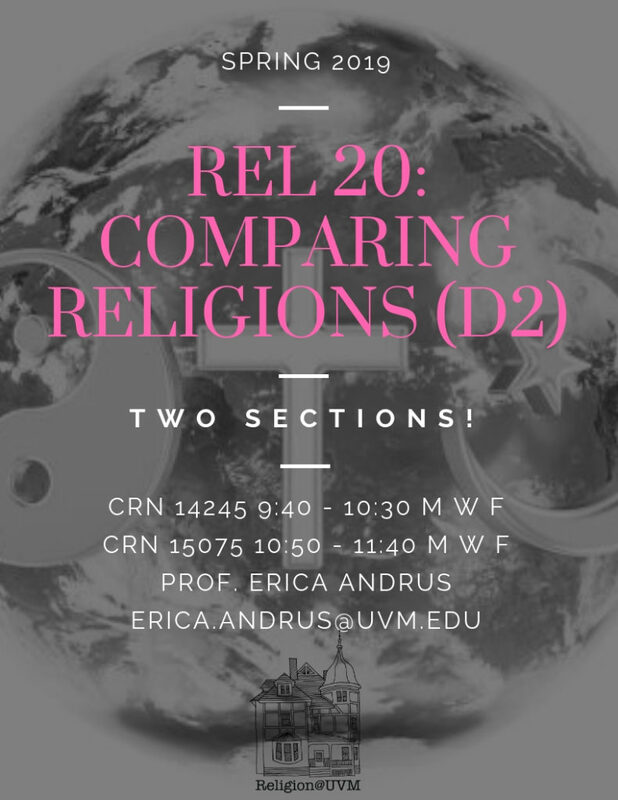 This course uses three “case study” religions to explore the questions of “What is religion?” and how can we begin to compare religions? We’ll look at stories, rituals, beliefs, and social roles from Buddhism, Islam, and Navajo religion, using the theories of scholars of religion. We’ll explore how religion can be intensely personal, involving visions and experiences that change a person, and change the course of history. We’ll grapple with the ways religions shape our understanding of what it means to be good or evil, and what it means to be a human, or a god, or an animal, and what happens to us after we die. We will work together to explore the diversity we find within religious traditions, reflecting complicated relationships between religion and culture, demonstrating that religion, far from being a fixed object that we can pin down, is fluid over time and across the globe. Islam is, in our post-9/11 world, a feature of the daily news; nearly 2 billion people worldwide identify as Muslims; and Muslims have been a part of the American religious landscape since the slave trade moved Muslim Africans to our shores. No doubt, this is an historic and yet timely topic, very much worthy of our attention. But how much do you really know about Muslims or Islam? 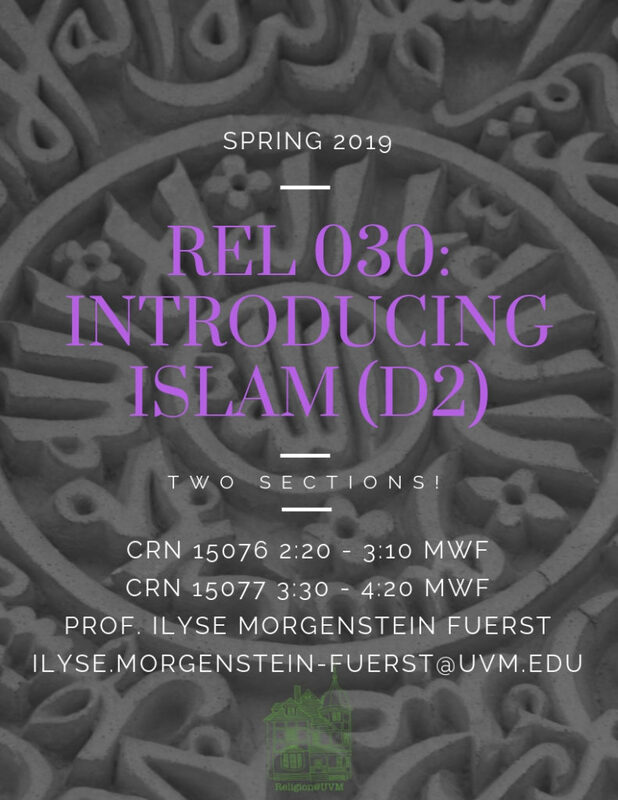 This course examines the history of Islam, focusing especially on its variation over time and location. By examining practices and writings of Muslims in multiple locations, we will complicate the idea that Islam is a discrete, universal set of ideas, practices, or beliefs. 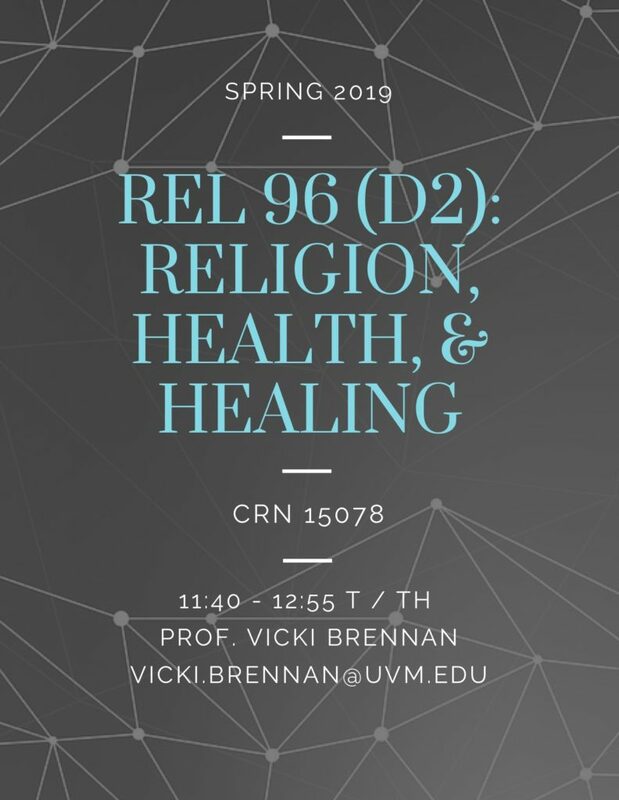 Professor Brennan is excited to offer a new intro-level course on “Religion, Health, and Healing” this spring. Given Professor Brennan’s areas of expertise, the course will emphasize religious cultures found on the African continent. 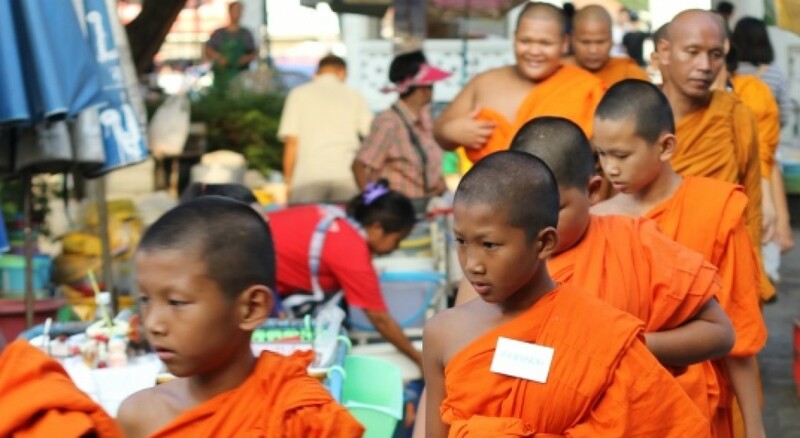 However, the case studies considered center on the role of religion in ideas about health and healing, as well as how disease and illness are interpreted and acted on through religious means. This course is a comparative and cross-cultural exploration of the relationships between religion, health, and healing. Through a consideration of case studies from the US, South Africa, Niger, Ethiopia, and Egypt (among others), we will examine how religion shapes people’s understanding of health and well-being and provides them with a means of interpreting and responding to illness, suffering, and death. Drawing upon interdisciplinary approaches that include religious studies, anthropology, history, music, and ethnic and gender studies, we will consider the diversity of ways in which religion both reflects and shapes ideas about health, well-begin, illness and disease. 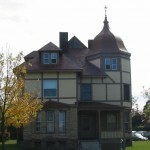 We will consider topics such as: spirit possession and altered states of consciousness, the importance of sound and music to healing processes, issues of race, gender, and sexuality in relation to religious worldviews and healing systems, and the possibilities and potentials for integrating indigenous healing practices with Western bio-medicine. • Students will develop an awareness of the diversity of attitudes towards religion, health, and healing in both Euro-American and non-European cultural contexts. • Students will develop an appreciation for the assumptions upon which their own ideas about religion, health, and healing are based. • Students will come to understand the intersection between religion and healing in a variety of contexts, including how such ideas came to be, how ideas about religion and healing are articulated in a variety of forms including ritual, biography, and political action, and how they are represented in a variety of media including scholarly writing, popular media, and films. • Students will develop critical thinking skills that will enable them to analyze information and evaluate arguments from diverse viewpoints and multiple perspectives. • Students will develop critical reading and writing skills that will allow them to interpret and apply the knowledge acquired in this class. 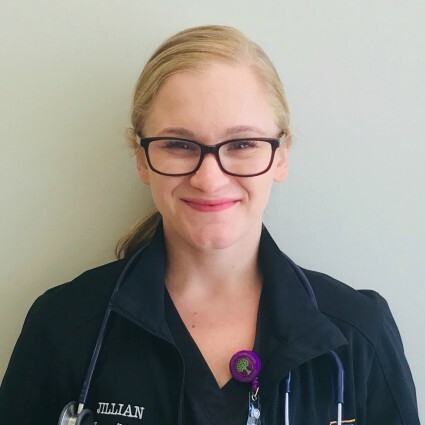 If a university education is meant to build not just a career but a productive and meaningful life, Jillian Ward’s UVM experience provides a compelling example. A native of Woodbridge, Conn., Ward ’11 was interested in entering the helping professions and declared psychology as her UVM major. It wasn’t until her second semester that she took an introduction to Asian religions class. She liked it so much, she took a few more religion courses, including sections on African religion and Buddhism. After a while she realized she was accumulating enough credits to earn a double major. When it came to deep discussions, developing ideas for a thesis project or getting advice on writing and other academic projects, it was mostly faculty in the religion department whom she turned to for guidance. “The department became a sort of a sanctuary for me,” she said. 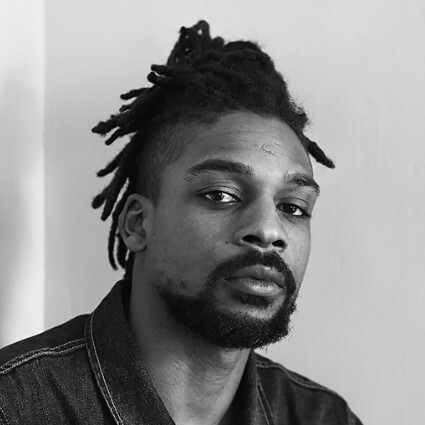 Shakir Stephen was born in Montreal and grew up in Southeast London, and his intellectual journey reflects a broad set of interests and potential career paths. 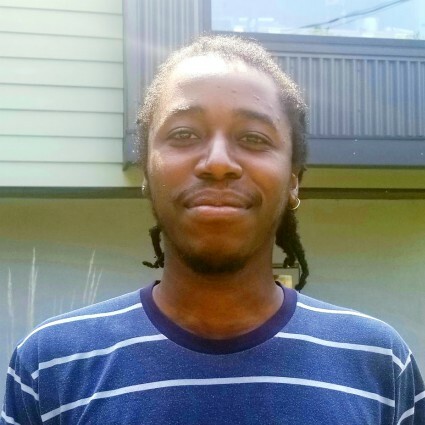 After working in as an academic coach in Burlington for three years after graduation, he is bound for New York University where he begins an M.A. program in religion. Stephen declared physics as his major upon entering UVM, but something was tugging him towards the humanities. In his first year at UVM he took several liberal arts courses and found his home in the religion department. Stephen discovered that religion was an ideal prism that brought together perspectives from other disciplines that interested him, including history, philosophy, sociology and anthropology. At the same time he developed critical thinking, reasoning, writing and presentation skills important for any post-graduate undertaking. Stephen works as an academic coach at Mansfield Hall in Burlington, an organization offering academic support to college-aged students with learning differences and executive functioning challenges. “These are often high functioning people with executive challenges who need help building skills that set them up for success sin higher education,” Stephen explains. The job draws on Stephen’s broad educational background, and he’s discovered that he’s a talented teacher. He sought out religion department members Kevin Trainor and Ilyse Morgenstein Fuerst for advice on graduate programs and he settled on NYU. He received a fellowship that covers tuition and fees for the two-year program. 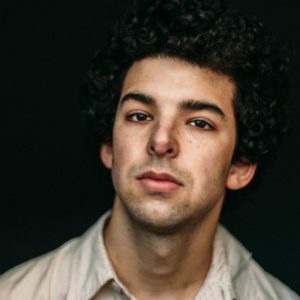 See a post Shakir Stephen wrote before he left UVM for NYU! Simeon Marsalis arrived on the UVM campus in 2009 focused on playing varsity basketball. Though he stepped away from the game after his sophomore season, Marsalis stayed at the university to earn his degree in religion in 2013 and had the rare opportunity to sit among his fellow graduates for a commencement address from his own father, famed musician Wynton Marsalis. Post-graduation, Marsalis has lived in cultural capitals New York City and New Orleans, but Burlington’s hooks remained set within the creative center of his mind. Last year, Catapult Books published Marsalis’s first novel, As Lie Is To Grin, which follows a protagonist named David on a nonlinear journey from his home in New York City to the University of Vermont, and back again. Between the writing required in his courses and the journaling and fiction he tackled in his free time, Marsalis was well on his way as a writer by the time he graduated. “My work with the Religion Department was essential to my growth as a writer,” he says. Post-graduation, Marsalis has lived in cultural capitals New York City and New Orleans, but Burlington’s hooks remained set within the creative center of his mind. This past October, Catapult Books published Marsalis’s first novel, As Lie Is To Grin, which follows a protagonist named David on a nonlinear journey from his home in New York City to the University of Vermont, and back again. After leaving Burlington, Marsalis found himself frequently returning to study the architecture on campus. The book includes beautifully detailed descriptions of some of UVM’s most notable buildings. Marsalis also spent many hours combing the university archives to research the school’s blemished racial past, which plays a central role in protagonist David’s character development. 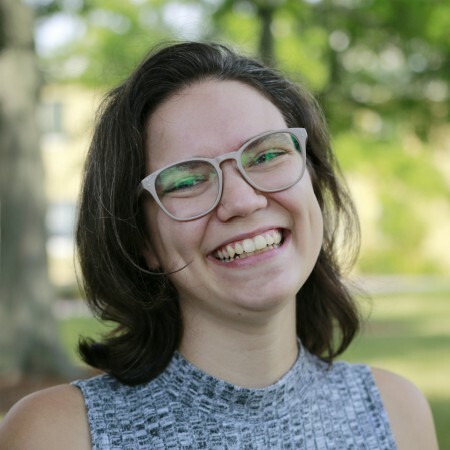 “At UVM I was studying philosophy at first, which lacked a direct confrontation with a lot of social justice and political issues that religion classes offer, so I added religion as another major. I was exposed to works like Tomoko Masuzawa’s The Invention of World Religions and Saba Mahmood’s Agency, Performativity, and the Feminist Subject, two of the best things I’ve read for any class . . .
“One of the most rewarding experiences at UVM was the work I did as part of professor Vicki Brennan’s classes, which resulted in a museum exhibit ‘Spirited Things‘ held in the fall of 2017. The exhibit included sacred objects from the Yoruba religion of West Africa, and other offshoots of Yoruba in the Americas developed by enslaved Africans who blended their spiritual practices with those of their captors. First, I took a religion seminar in the spring prior to the exhibit where we did a lot of research to prepare for the exhibit. In the fall I took another course concentrating on ethnography of museum visitors who were largely unfamiliar with these religions. The context of a Western museum typically implies that these objects must be very old and come from faraway places–therefore they are usually exhibited mainly for their value as natural history. However, in ‘Spirited Things’ many of the objects came from the contemporary Afro-Atlantic diaspora including cities like L.A. and New York. These objects were imbued with power and meaning for ritual purposes, and revered in their own right . . .
“My father is a Presbyterian minister, my mother a self-proclaimed agnostic. I went to church every Sunday when I was growing up, however my parents were both constantly discussing and introducing other religions. I remember distinctly having a menorah, talking about Kwanza, my mom referencing different Hindu Gods, and my most fond memory of my mom reminding us every year on Christmas that the reason we celebrate the holiday when he we do actually because of ancient Indo-Iranian mythology and the God Mithras. I was constantly surrounded by discussions about religion . . . When I was in high school and began going on college tours I told everyone I wanted to study political science. It wasn’t until my junior year, when I took a religion course combined with a class called Human Geography, that my thoughts began to change. I distinctly remember the day I was touring colleges the summer before senior year and changed my answer to what I wanted to study. I said ‘religion.’ I came in declared and haven’t regretted it a single day . 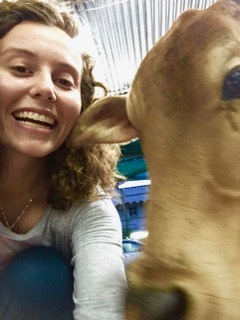 . .
Marissa (left) during a study abroad program in India. was looking for a college that offered a lively religion program and a strong reputation in the sciences—at the time she had her sights set on medical school. McFadden double-majored in biochemistry and religion, but felt a stronger tug to the latter discipline. 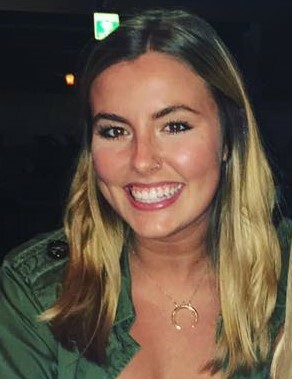 In her second year at UVM she concentrated fully on religious studies. She still sees herself working in a clinical setting as a social worker–she’s now pursuing an MSW through UVM’s College of Education and Social Services.